You are here Home » Is carrying a child with birth defects a good reason for an abortion? I usually avoid commenting on political or controversial topics (conflict gives me the hives). However, this last week, the ole Facebook feed flooded with posts regarding New York’s recent law to affirm the availability of late-term abortions. I have a fairly diverse group of friends online. Some friends rejoiced, declaring it a victory for women and a step toward progress, freedom, and equality. My pro-life friends mourned the loss of babies and expressed their sense of outrage at our nation’s blatant disregard for the value of innocent life. Whenever I disagree with someone on a passionate issue like this one, I genuinely try to understand the viewpoint of the other person. It’s easy to just cast someone into a pre-imagined role: it’s “us” vs “them.” The backwards conservative vs the heartless baby killers. It’s ugly on all sides. It’s hard to acknowledge the complexity of feelings that go into a decision as serious as ending a pregnancy. I repeatedly saw people mention how most late-term abortions were due to health issues or deformities in the baby. I am unashamedly pro-life. I’m also the mother of a child born with genetic birth defects of the brain and spine as well as Gorlin syndrome – a condition that will likely lead to an ongoing, life-long battle with skin cancer. I didn’t know about my daughter’s condition in the womb – none of the ultrasounds or testing raised any alarms. So many of the women I connect with online in my special needs support groups were offered termination at multiple points during their pregnancies. Many of these same women now have children who FAR exceed the negative prognosis given to them at an anatomy ultrasound. The fact is, that sometimes a diagnosis is incorrect. What they think they see on an ultrasound or fetal-MRI does not always give you a full picture of that child’s life. It’s a piece of medical technology, not a crystal ball that will predict the future with 100% accuracy. Elizabeth’s particular brain defect (agenesis of the corpus callosum) offers a spectrum of possible outcomes (from minor learning delays to more severe disability), but many of my friends’ doctors emphasized the worst-case scenario. Yes, it’s a gamble, but a human being’s life is at stake. A child with birth defects is not less of a child than a “healthy” baby. It isn’t less wrong to stop the heart of an “imperfect” baby. 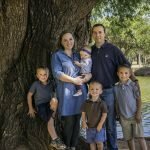 When I read the late-term abortion experience of the woman in this article, I can’t help but mourn with her – primarily because she was describing the medical conditions of my own daughter – while Elizabeth doesn’t have the more severe Dandy-Walker variant (she leans more toward a Chiari malformation), she does have a genetic syndrome, hydrocephalus and is missing the corpus callosum just like this woman’s child. As the mother of a special needs child, what I hear when I listen to those types of arguments is that a child like mine would be better off dead. When I listen to my daughter laugh or I watch her work hard to achieve milestones, I can’t help but mourn for the families who miss out on those moments because they were told that ending the pregnancy would be the better choice for all involved. And I get it. The prospect of raising a child with medical or neurological issues is HARD. It’s a life-long commitment. I sometimes feel like I’m drowning in a sea of uncertainty. It’s frightening and overwhelming and stressful and expensive. It’s a lot. 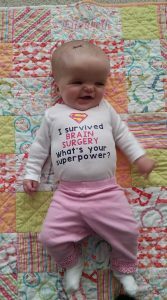 My daughter has faced challenges and struggles at two-years-old that most children will never face in their lifetimes- including two brain surgeries before her first birthday. Is it more merciful for her never to draw a breath on planet earth? No. Oftentimes, vulnerable and frightened mothers are fed the worst-case scenario and are given limited time to make literal life and death decisions. The medical staff wants the parent to be informed of the very real possibility of bad things (so they don’t get sued for “wrongful life”), but seldom do they say, “there’s also a chance they will experience only minor delays and enjoy a full and meaningful life.” or “They might face many struggles, but even in spite of them, they will flourish.” I don’t think these OBGYNs or radiology staff are evil abortion-pushers. I just think it’s not possible for them to be experts on every single rare medical condition – they may not actually be aware of the full spectrum of possible outcomes. We long for peace and perfection. We long for healthy children born at an opportune time, but sometimes, that’s not what we’re given. What do we do then? I have nothing but compassion and grace for these women. It’s heartbreaking for all involved. You won’t find me throwing stones. The older I get, the more I realize how intricately complex we are as human beings. I don’t think these women are evil or heartless. I don’t think it was a decision they came to lightly or even necessarily willingly- I don’t underestimate the influence of well-meaning family members or medical experts. Some pro-choice mothers may feel, ironically, that they have no choice but abortion. To the mom considering a late-term abortion due to a prenatal diagnosis: I can’t tell you what to do, but I can tell you this: I wouldn’t trade my daughter for the world. Facing these adversities has taught me so much more about my faith. Mothering her has taught me strength in ways that my “healthy” children never did. Yes, it is scary. Yes, it is hard, but you are made of strong stuff. Every single life has value – no matter how short or what the child has to offer society. Each life is precious. Whether you have two minutes with your baby or twenty years, life is a gift worth giving. To my pro-life friends: If we, as the church, are going to proclaim our pro-life convictions, we need to be pro-all-of-life. That means we don’t ridicule the single mom on food stamps who had a baby that “she couldn’t afford.” We come alongside those families raising children with mental or physical challenges. We teach our children empathy and compassion for children who are differently-abled. We encourage and provide the disabled with resources they need to live a full and meaningful life. We support education, childcare, and job resources to help break cycles of poverty. 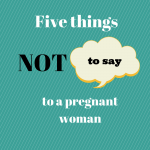 We embrace the woman facing an unplanned pregnancy and support her rather than shame her. We help the woman in an abusive relationship find a safe way out. We provide information and support about adoption and we continue to care for the whole person even after a baby is born. It’s not enough to be pro-baby. When people think of the church, they need to think pro-abundant-life. If you’re a mom facing a complicated pregnancy, my heart is with you. We didn’t know about my daughter’s condition until after she was born, so I can’t imagine the pressure and fear and uncertainty of knowing that there are problems from the time they are in your womb. God’s grace can sustain in ways you could never imagine. Ask Him for help – He is faithful. May our eyes and hearts be opened to the value of every single life. May we show grace and love to those who are vulnerable. May we empower women and provide them with a safe place to face the challenges of a life where things are sometimes just not the way we hoped they’d be. Sarah is a writer and mom of four. 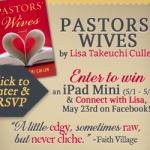 Her passion is to encourage and equip women in their faith. To stay up to date on tools and resources for Christian motherhood, click here. Thank you for sharing your beautiful story. We have a special needs grandson and we learn so much from him everyday! your little sweetie is just beautiful! Beautifully written. You are such an inspiration. What a beautifully-written sharing of your heart. Your daughter is BEAUTIFUL, and she is so very blessed to have been born to a mother such as you. 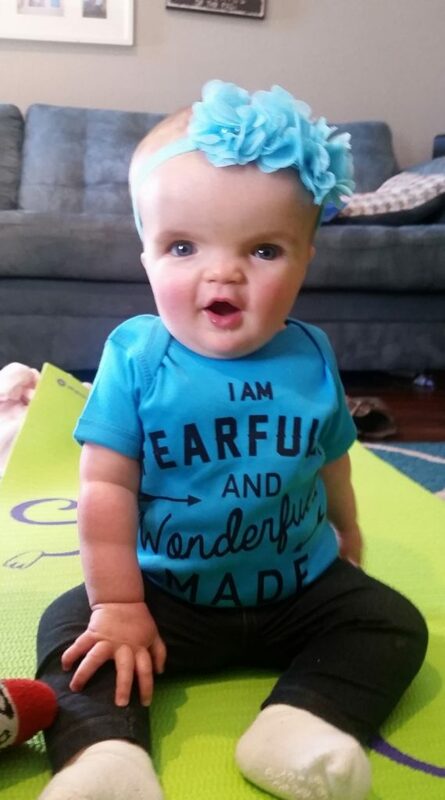 You are so right… she is “fearfully and wonderfully made” by the Great God of the Universe. Sarah, thank you for sharing your heart, love of God, and love for all babies. We applaud you for being willing to share your feelings. What a blessing Elizabeth is to everyone she encounters. Thank you, Sarah, for writing this and sharing your story. There are so many hurting people on both sides of this issue who need to be met with compassion and the love of Christ.